Following in the footsteps of their foremothers while learning about the latest innovations and aiming for the highest quality, a new generation of well educated, enthusiastic Greek women is sharing their family’s high quality extra virgin olive oil with the world. The efforts of Greek women of all ages are inspiring others in the olive oil sector. On International Women’s Day, Greek Liquid Gold is honoring the contributions of the women working in the olive oil world. In Greece, thousands of women care for olive trees, harvest olives, work in mills and bottling plants, and market, sell, export, taste, and judge Greek olive oil. Here are a few whose achievements have attracted international attention. With several estimates for the 2018/19 harvest year’s worldwide olive oil production published recently, a comparison is useful. Expectations range from 3.1 to 3.451 million metric tons. There is agreement on an overall reduction compared to last year, but Spain and Morocco seem to buck the trend, so that a scarcity of olive oil is not anticipated. 2018 was a year of triumph for hundreds of Greek olive oil companies whose hard work before, during, and after the 2017/18 harvest yielded superb extra virgin olive oils, as international competitions recognized. It was a year of challenges for some Greek olive oil producers, whose hard work left them with disappointing results from the 2018/19 harvest. 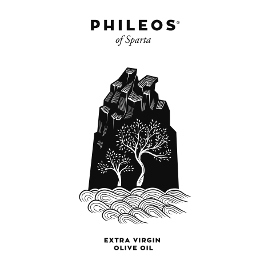 The amazing price of 510 euros for a half liter of Greek olive oil captured plenty of attention, but the full story has deeper roots in ancient Greek olive trees. Some of these ancient trees are being preserved and promoted by the Eptastiktos cooperative that donated that precious oil to a Dutch charity auction, and also helps its Cretan community. Last month, two Greek olive oil experts were invited to share their knowledge at the Olive Oil Summit of the Food & Hotel China (FHC) 2018 exposition at the Shanghai New International Expo Center. Eleftheria Germanaki and Kostas Liris appreciated this opportunity to reach out to Chinese professionals who work with the growing Chinese olive oil market. What do a Greek-Canadian graduate of the political science department at McGill University in Montreal and a Greek translator who studied in Corfu and worked in Athens have in common? Olive oil. Both of these educated young women decided to return to the Greek island of Crete where they grew up and dedicate themselves to their family’s olive oil businesses. The second World Olive Day 2018 event in Crete focused on developing the vast potential for olive oil tourism on this Greek island. Experts presented a wealth of information about olive oil in archaeology, history, the diet, hotels, museums, factories, farms, tastings, and seminars, plus other activities and sites to visit, including monumental olive trees. An informative World Olive Day event in Crete focused on the optimal use of olive oil in restaurants. Cretan politicians, experts, chefs, and an olive oil judge shared data and suggestions for using and tasting olive oil and linking it to tourism. 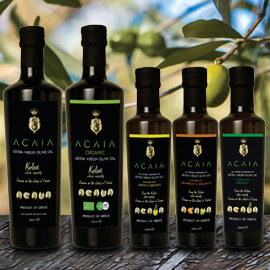 An awards ceremony for five olive mills was followed by a guided olive oil tasting session and a light lunch. This year, a Greek law requires restaurants to replace the refillable olive oil containers on their tables with sealed, non-refillable or disposable, properly labeled bottles. 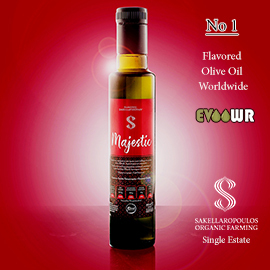 Offering various bottles to restaurants, Greek olive oil companies are ready to showcase the high quality and health benefits of appropriately packaged Greek extra virgin olive oil. Since January 1, a new law in Greece has mandated that the olive oil on restaurant tables be served in sealed, non-refillable or disposable, properly labeled bottles instead of the refillable glass containers commonly used in the past. 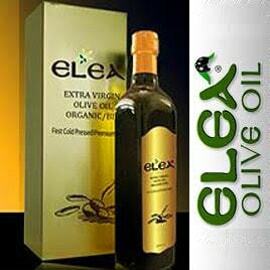 Greek olive oil industry experts hail this change as beneficial for both consumers and the Greek olive oil world. Given varying estimates for worldwide olive oil production in the last few months, it is useful to compare predictions from respected sources. The consensus is that production will increase in the 2017/18 harvest year. Although the leading producer, Spain, will offer less olive oil, greater output from other countries will more than compensate for that. Predictions for Greek olive oil production in the 2017/18 crop year range from 270,000 to 300,000 metric tons, with the higher number indicating a 54% increase over last year. Greek specialists and olive oil companies who offer their perspectives from various parts of the country provide more details about expectations for this year’s Greek olive oil. Vasilis Pyrgiotis, the new chairperson of the Copa and Cogeca Working Party on Olive Oil and Table Olives, recently discussed the Greek and European olive sector with Greek Liquid Gold, emphasizing the importance of pan-European cooperation and smart farming, as well as promotional campaigns—for example using branded olive oil bottles on restaurant tables. This year’s first World Olive Day event in Crete offered a glimpse of some Cretan olive oil sector activities, successes, and concerns. Scientists gave advice on olive oil extraction, trading, and olive mill waste management and reviewed developments in olive oil production and exports, then children presented a play, and olive mills received awards. 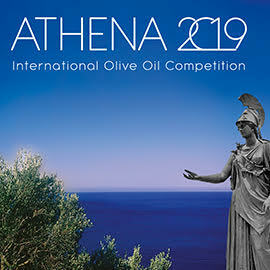 A recent event hosted by the Chania Chamber of Commerce and Industry on "International Olive Oil Competitions: The Road to Distinction" revealed that the olive oil of the prefecture of Chania continues its upward course, both qualitatively and quantitatively. Drawing more than 65 participants, the event sparked the interest of many olive oil producers. The first estimates of the amount of olive oil to be produced by the major olive oil producing nations in the next crop year (October 1, 2017 to September 30, 2018) were published recently. While there is naturally some disagreement, and it is early to make predictions, a significant increase over this year’s olive oil production levels seems likely. Although recent news headlines warn of soaring olive oil prices, these increases are neither universal nor uniform. 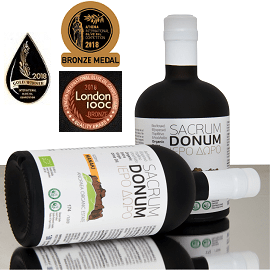 The world has seen lower olive oil production levels this decade, and excellent extra virgin olive oil is still available at prices that are more than reasonable given the work put into creating its high quality and striking health benefits.